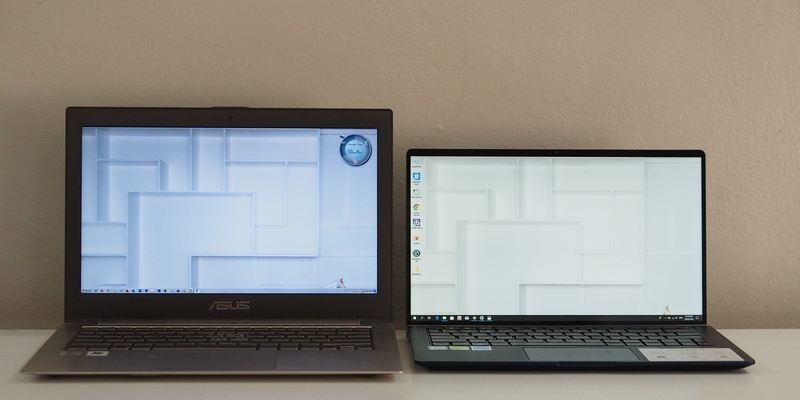 We took the 13″ Zenbook for a 10-day spin and it is an absolute pleasure to use… for me primarily, it is because of the length of the untethered uptime on the device; something that is sorely lacking in the mobile station that is my regular carry. 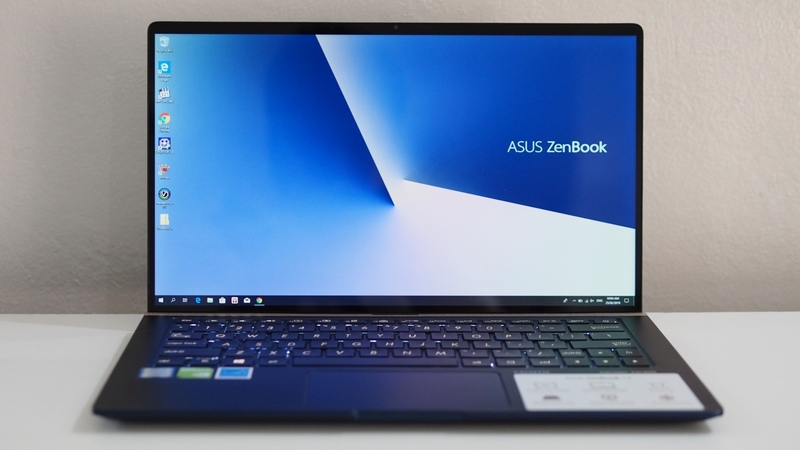 Apart from it’s weight, the Zenbook 13, which actually is smaller than an A4 sheet, is really miniscule compared to its predecessor… it wouldn’t actually feel like you’re carrying a full Windows device. Not only is that going to be the case, you’d be walking around with something that has significant power under the hood. 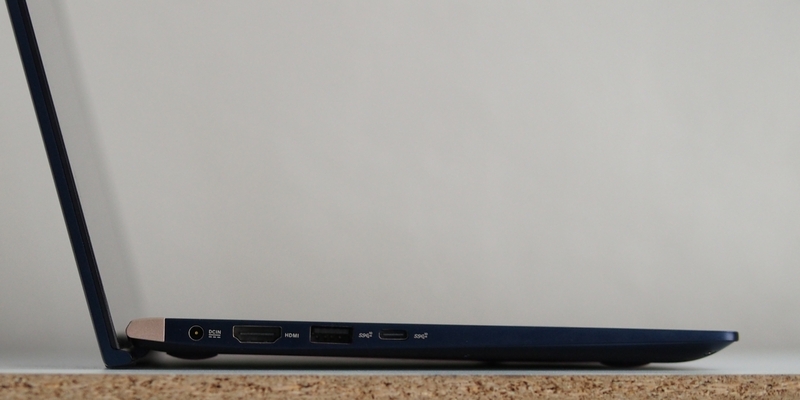 The Zenbook 13 actually has a number of SKUs available with varying power in them. In the Philippines, processor options at the time of writing only go up to i5 (on the Zenbook 13 model) but if you have access to alternative channels, there are i7 versions of this as well. It is my recommendation however to go with the i5 if only for the difference in power draw… you’d find better use for the more power efficient variant especially for mobility. 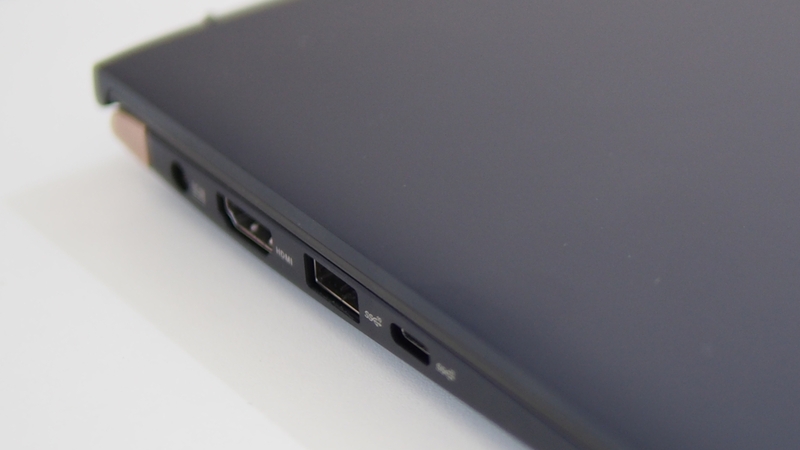 For insight, the one that I’m using for this review comes with an i5-8265U with 8GBs of RAM rated at 1.8GHz that has a GeForce MX150 installed. When I first laid hands on the device, I immediately wanted to change the display scaling. 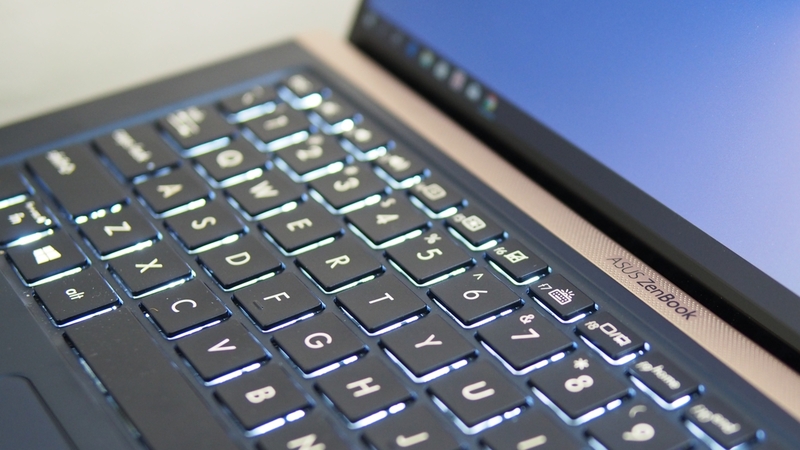 The panel on the Zenbook 13 is an FHD IPS display and at 100%, the 14″ screen is enough for buttons to be visible and not at all hard to work with. For any other utilization, sticking with the default 150% Windows recommendation is okay. This Zenbook is definitely ready for some long typing sessions but the major gripe comes from me constantly not hitting the right shift key because of its size. That said, it takes very little time to get used to only using the left shift key exclusively for less errors and more speed. Having the delete key right next to the power button is something that is quite familiar to me so its practically a non-issue. 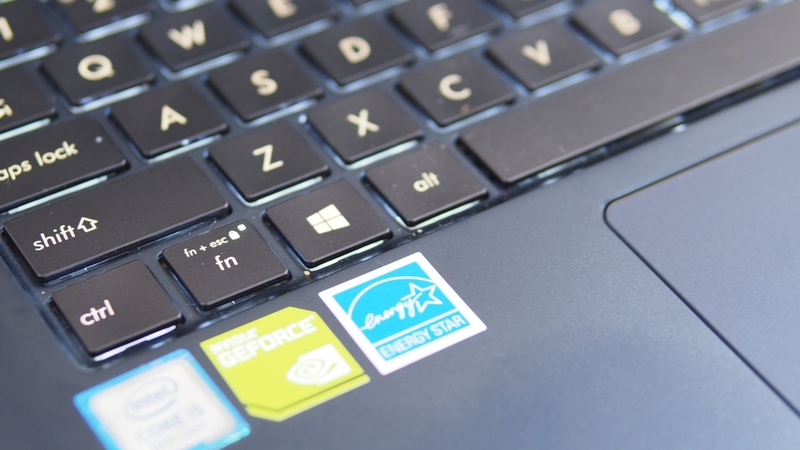 There is a function lock on this version of the Zenbook as well which means you don’t need to go into the BIOS to set the priority, you can just change it on the fly – like caps/Num lock but for the Fn keys!!! It even comes with its very own LED indicator, neat! 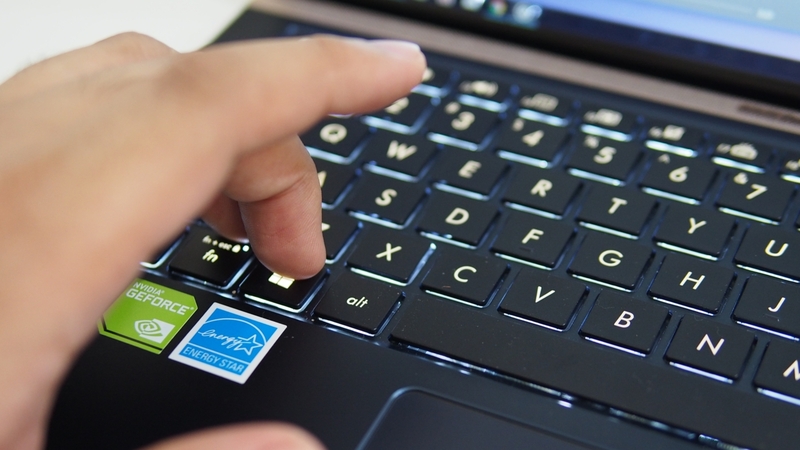 Key travel is very short, any user would find it a big loss of efficiency taking hands off the keyboard… touch typists would find it a fun and engaging device to work with. The three degree elevation is not a lot. You’ll hardly feel the change but it certainly beats typing away on a flat keyboard. 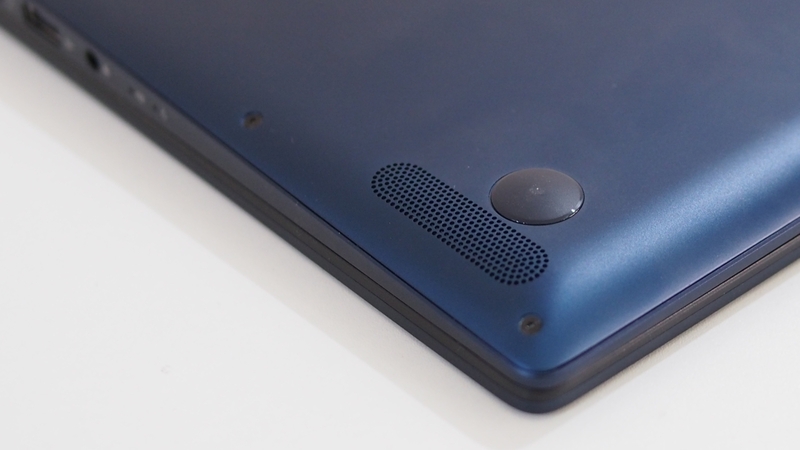 On a smooth surface, the front rubber feet (the one opposite the screen) provides enough grip that the device wont slip around while you’re using it. 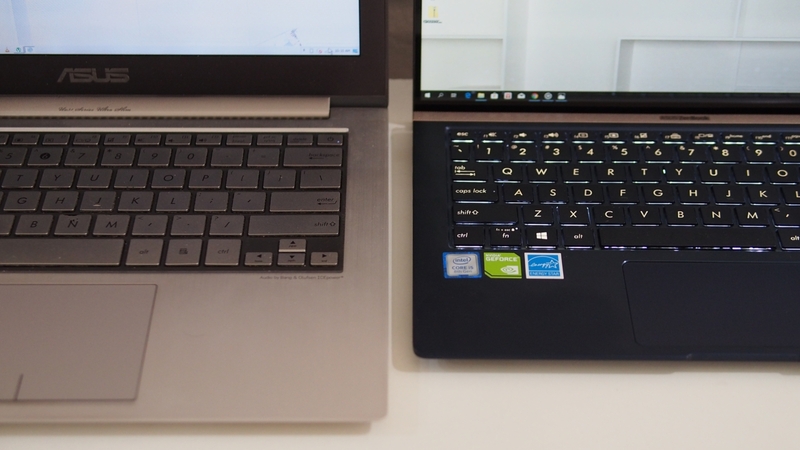 I constantly find the palm rest area a little lacking with my palms having to rest partially floating and partially on the Zenbook but that is a small price to pay for overall portability. The keyboard is also backlit providing the opportunity to work even when lighting is scarce or non existent. It ramps up intensity up to three times so you can choose the most comfortable level no matter the ambient condition. The trackpad is very responsive and appears to have good to great palm rejection that you won’t need to disable it, at least I found I didn’t need to as much as with my other devices. 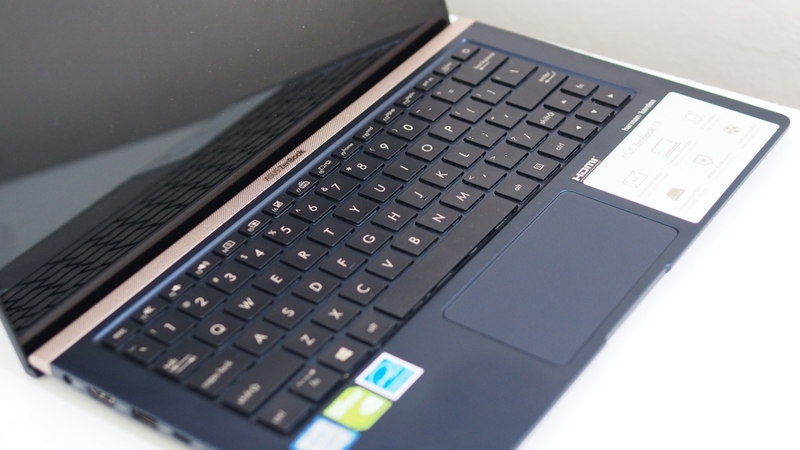 There is a version of the Zenbook 13 with the numpad embedded into the trackpad, that’s not the one that I had been using but I am not missing it at all. It is a good addition to functionality but using the top row of keys still remains the better choice for me when the need comes up. The trackpad is a little short however, you won’t want to scroll long pages using this because you’re bound to give your fingers quite the workout. Intertial scroll is available by default so brushing up on the pad can bridge that distance. 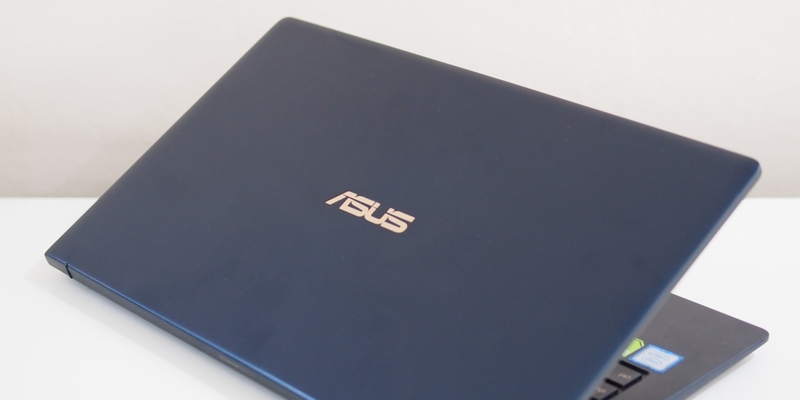 One of the major things that struck me while playing around with the Zenbook 13 is the sound quality that it outputs. The harman/kardon branding on the device is most definitely not just for show. It isn’t so deep in the bass department but the clarity is all the way up there. At max volume (not really recommended) it can fill out a room quite significantly able to drown conversation around the device. This fact, coupled with the nano-edge screen near bezel-less in every direction, make for a fantastic movie and binge-watching experience suitable for sharing. 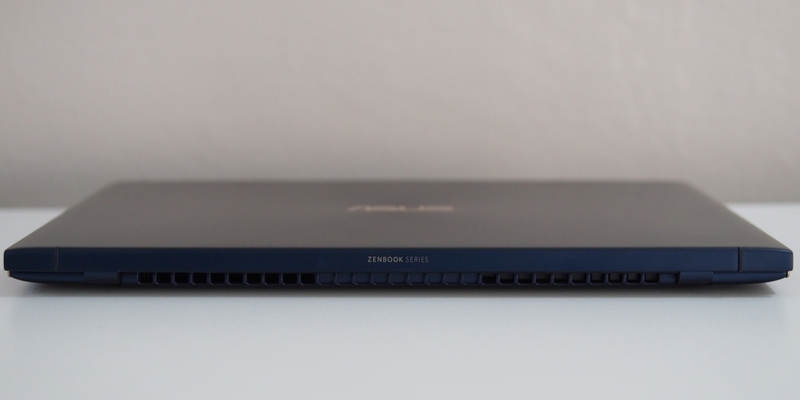 One of the main reasons you’d want to get the Zenbook 13 is its fine selection of ports. 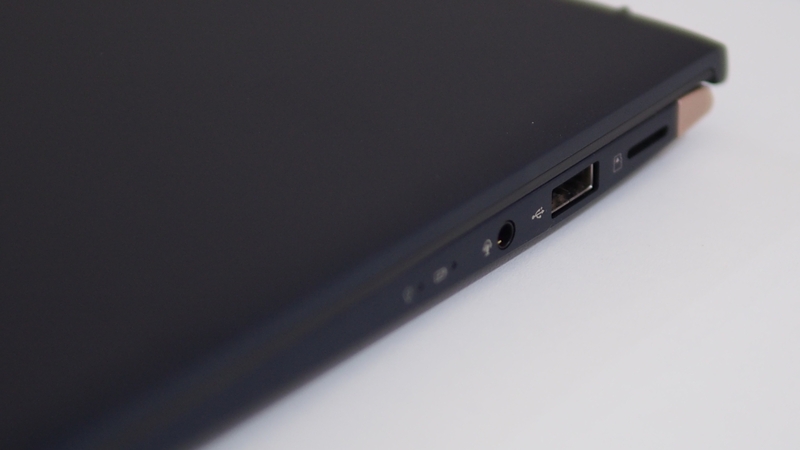 Without the necessity of a dongle, you’d be looking at 3 USB ports, one of which is a USB Type-C connector, a full-size HDMI port, a microSD card slot, and a 3.5mm combo jack for audio rounding out the non-power I/O of the device. Its always ready to accept accessories and additional storage for you… I still find it unfortunate that a full sized SD card slot is not among the available ports slightly diminishing its otherwise stellar port selection. 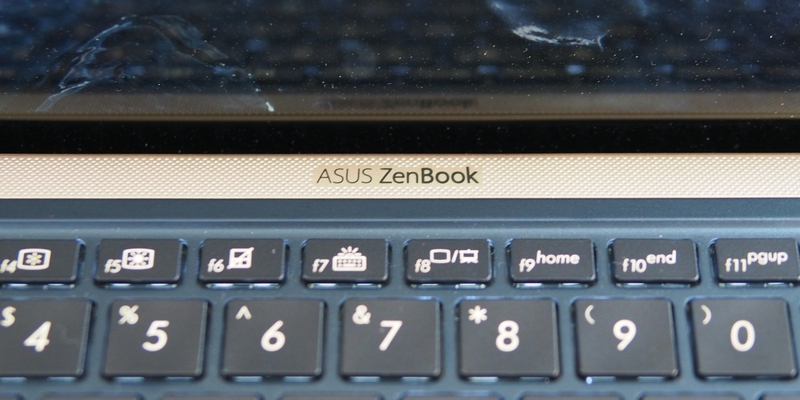 There really isn’t much else you’d be looking for on an Ultrabook that the Zenbook 13 doesn’t already provide. You’ve got portability, power, discrete graphics, battery life, screen real estate, and most importantly, flair. While the typing experience might not be everybody’s cup of tea, it does lend greatly to the speed at which content could be generated. Trust me when I say that if you’re to experience simply putting it inside of your bag among your everyday essentials, never again would you want to leave home without it. This series of Zenbooks in its various SKUs are priced starting at Php 54,995.